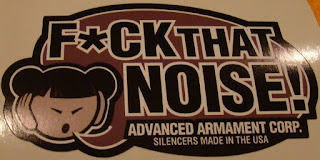 Suppressors, sound moderators, silencers. The first thing that comes to mind is a Hollywood action movie where an assassin screws a silencer to his or her high powered sniper rifle to make a whisper quiet kill shot at 1000 yards. Just like most things in Hollywood movies, it's all make believe. 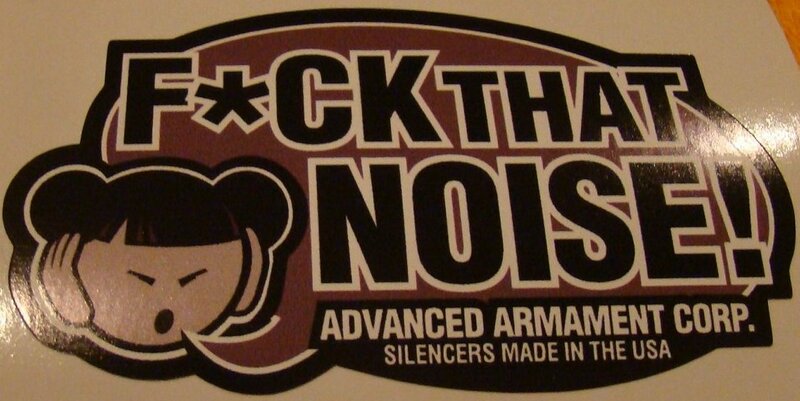 Suppressors don't instantly make firearms whisper quiet. Perhaps somebody should tell that to the police in the state weapons licensing branches throughout Australia. For some misguided reason, the police do not want ordinary citizens to possess and use such devices. The benefits of using sound moderators far outweigh any risks. Continuous exposure to loud noise is a health issue. For those of us who participate in competition shooting every weekend, hearing loss is inevitable. You only have to head to the range and speak with the some of the more senior participants to know that they are hard of hearing. Personally, I'm only 38 and have a hearing aid for my left ear and I am beginning to lose the higher frequencies in my right. A typical sound moderator will reduce the noise produced by a firearm by around 30%. This by no means silences a rifle but it does have considerable health benefits to shooters and the management of their respective ranges. So what does the Queensland Government say about exposure to excessive noise and hearing loss in the workplace? Adding noise barriers, noise enclosures, vibration isolation mountings, laggings, mufflers and silencers where appropriate to reduce noise at source. Using sound-absorbing baffles between workers and the noise source. An employer that fails to make every effort to reduce the amount of dangerous noise within a workplace can be held liable for any injuries caused to employees. Last time I went to a large shooting range, the range officers and firearm safety instructors were being paid and are classed as employees. Are competitive shooters and recreational hunters not entitled to the same protections that everyone else is entitled to? Are the police being negligent to law abiding shooters by denying us an additional means to protect our hearing? They are Queensland Government employees, surely they don't have the power to legislate against workplace health and safety laws! Many ranges are coming under significant pressure to reduce the amount of noise and have had to create noise management plans. These can be in the form of physical barriers and also by restricting the operating hours of ranges. The use of sound moderators would significantly reduce the amount of noise produced which would mean a win for shooters and nearby residents. In many countries like New Zealand and England, it is considered poor form if a hunter does not use a sound moderator, their use is encouraged! So why are we different in Australia? Surely the police must be privy to some information that they don't have in NZ or England, but you'd have to ask the police for the real reasons behind the legislation that outlaws their use. They do write the gun laws after all. Like every law that has been created, those that are determined to can and will break them if they so desire. A sound moderator can be easily fashioned from an empty plastic coke bottle, some metal gauze, steel wool and some duct tape. It virtually makes the outlawing of sound moderators seem like a really bad joke. Countless youtube videos show just how easily they can be constructed. For years, shooters have been trying to educate our police & politicians of the health benefits of using sound moderators, unfortunately our pleas continue to fall on deaf ears.